(KPL) The Festival of India began on Monday in Vientiane Capital and will continue until 11 February. 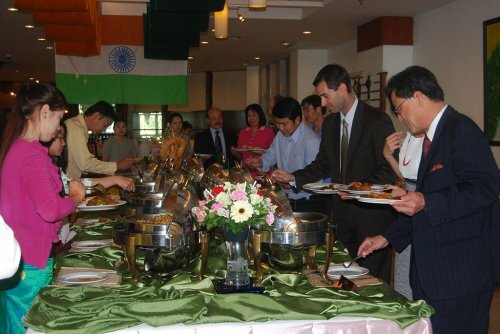 The Festival of India features six interesting events at three major venues, including the National Cultural Hall, the Dhamma Assembly Hall (close to That Luang), and Don Chan Palace. 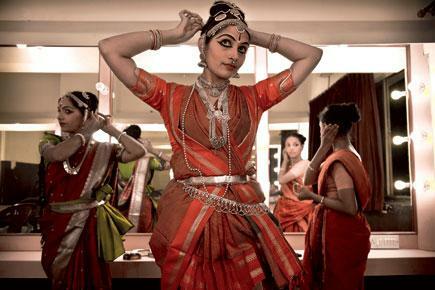 Chennai-based Kalakshetra Foundation is performing Ramayana in ballet form, while the other events include: a Buddhist Festival, Ramayana Dance Festival, Indian Film Festival, Yoga Classes, Mehndi Art, and the much-anticipated Indian Food Festival. “One of the main objectives of the Festival of India is to enhance people-to-people connections by mutual understanding of each other’s cultures, traditions and heritage. I hope Laotians would take this opportunity to enlighten themselves with Buddha Mahotsava at That Luang Dhamma Sabha and enjoy the Indian dance, cinema, cuisine and yoga etc at the National Culture Hall,” said Indian Ambassador to Laos Mr C Gururaj Rao. “India is one of the most diverse nations in the world. Indian society is a magnificent mosaic of countless cultures, languages, ethnic groups and beliefs. Every religion known to the human race flourishes in India. Yet there is a transcending unity in the midst of this diversity,” said the Ambassador. “I have learned that the Lao PDR has consistently maintained political stability, security and social order contributing to national development and poverty reduction. Being a peaceful and friendly nation itself, Laos has been promoting friendly relations with nations around the world,” said Shri Ravindra Singh, Indian Minister of the Culture. “I would like to congratulate the Lao PDR on receiving the award for “World’s Best Tourist Destination for 2013” by the European Council on Tourism and Trade (ECTT) in May 2013. The recently released Economist Intelligence Unit (EIU)’s projections for economic growth in 2014 forecast that Lao economy will see 8.5 per cent growth this year, ranking it among the top 10 fastest growing economies in the world. It is a testimony of the government’s outstanding performance,” said Mr Singh. The festival was attended by Minister of Information, Culture and Tourism, Prof Dr Bosengkham Vongdara, Indian Minister of Culture, Mr Shri Ravindra Singh, Minister to the Government Office and President of the Lao-Indian Friendship Association, Mr Bountium Phissamai, Indian Ambassador to Laos Mr C Gururaj Rao, Indian nationals and Vientiane residents. while an exhibition, and food and film festivals are also part of the event. ???????????????????????????????? ???????????????????????????????????????????????? ?????????????????????????????? ???????? ?????????????????????????????? ?????????????????????????????????????????????????????? ???????????????? ??? ?????????? ??????????????????????????????????. ???????????????????????????????? ?????????????????????????????? ?????? 10 ????? 2014 ??????? ????????????????????????? ??????????????????????????? ??????? ??????? ???????????????????????????????????? ??????????????????????????-??????? ??????????????????????????? ?????????????????????? ???????????????????????? ??????????. ???? ?????????? ??? ?????????????????????? ??????????????????????? ??????????????????????????? : ?????????????? ???????????????????????????????? 9-11 ????? 2014 ????????????????????????????????????????????????????? ????????????????? ??????????????????????????????? ?????????????????????????????????????? ??? ??????????????????????????????????????? ???????? ??? ???????????????????????????????????????? ????????????????????????? ?.